Of all the languages, out there why did I choose to learn Spanish? I live in California and by the year 2050 75% of the population will speak Spanish. Spanish is the second most common world language. Today there are over 35 million Spanish speakers in over 22 countries! In my opinion everyone should learn a second language, it just good for the brain! It wards off senility, promotes world understanding and its FUN to learn! Speaking Spanish has opened up my world exponentially! I have double the amount of friends being bi-lingual, I can travel to over 22 countries and speak the language, I have a better understanding of English, and I can express myself in two languages with all their nuances. My Spanish language learning experience is interesting. I took Spanish 1 in high school in California, when I was 14, and had a very interactive imaginative teacher. He made learning fun! In Spanish 2 it was nothing but boring grammar drills so I opted out for Typing class. In college, I studied Spanish ceramics as a major so it was natural that I need to learn some Spanish so I could go to Spain and do some research. I met some friends there, who I am still friends with today over 41 years later! Having friends who were Spanish really helped advance my language. I took classes in college then got a minor in Spanish. I earned a scholarship to the University of Oviedo to develop Spanish cultural curriculum for my students. I studied Spanish at the University of Pamplona. I have studied in Cuernavaca, Mexico as well. Having lived in Spain and Mexico to study made the language real and enriched my life! I am a right-brained learner so learning Spanish the old-fashioned grammar was a real stretch for me. As a non-native Spanish speaker, I empathize with my American students as they acquire Spanish. I think this gives me an edge and my students appreciate that! I decided to teach Spanish because I love the look on my students faces when they learn a skill that is useful and is a life-time of enjoyment. Teaching Spanish I can teach: culture, art, history, language, economics, music and more! It’s the best! Plus, I need to teach my students how to participate more fully in a global economy and culture. My most difficult teaching scenario and the funniest is when I hear students use their beginning Spanish as they are just getting comfortable with it and say something that is hilarious or incorrect with a double meaning while intending to say something else! Explaining to the student what they really said can be hilarious for the whole class because we all make mistakes and those are very memorable! My most rewarding student scenario is when several of my students decided to become Spanish teachers. The world needs more Spanish teachers and I was proud to be a part of their training by example and deeds. Many of my students go off the Spanish speaking countries then return to tell me how great their Spanish was and how much they used it! My students repeatedly say that learning Spanish using the method TPRS®, Teaching Language through Reading and Storytelling, has changed the way they thought about learning a language. They really are able to acquire a second language and are thrilled when the light-bulb of understanding goes off in their head. They LOVE how much Spanish they can speak and understand compared to traditional grammar method. Learning.Spanish is so much FUN with Profe Linda. They say they never laughed so much and learned so much Spanish! The comprehension based method TPRS® has it hands down over any other method of learning Spanish because it is researched based and the results are proven over and over again! With traditional communicative or grammar based methods students were only able to regurgitate rehearsed language. With TPRS® the learning is personalized and fun so it makes acquiring language easy as it was learning to speak a primary language. Students learn to speak spontaneously and with tremendous accuracy. ​The most beneficial aspect of speaking Spanish for me has been the ability to make multi-lingual friendships, to travel around the world visiting friends, and going to school is Spanish speaking countries. I am able to watch Spanish films and enjoy them, read novels in Spanish, and even cook from Spanish recipes. I also have lots of great memories. 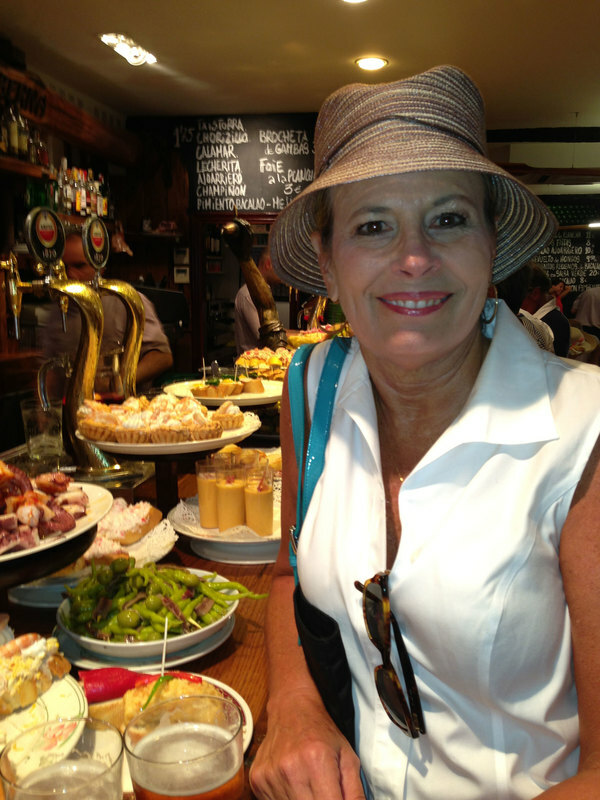 Linda Ward is a highly trained Spanish instructor who was mentored by the creator of TPRS©, Blaine Ray. She is known for her energetic teaching style that engages students and relaxes learners from the start! She holds a Master's Degree in both Fine Art and Spanish from Long Beach State University, California. She has over 30+ years of teaching experience. Currently she is an adjunct Spanish professor at Lake Tahoe Community College for 20+ years. She received an international scholarship from the Spanish Embassy at the University of Oviedo, Spain, and along with other Spanish teachers created curriculum for high school students. She attended the University of Pamplona, in Spain where she lived and studied. Linda has also studied abroad in Cuernavaca, Mexico at a CLTA approved school. She is a medical translator for the Flying Samaritans, an volunteer organization that takes free medical services to Mexico. Profe Linda started Learn Spanish Fast after her Lake Tahoe Community College students went home jabbering away in Spanish telling stories and wanted MORE TPRS©! Due to the demand for bilingualism in California her business continues to grow. She enjoys teaching adults whom are transformed into Spanish speakers and joyfully express their enthusiasm. She can also add to her repertoire guest speaker at the Annual 2012 Hearst Cancer Foundation Gala and is a proud Stage IV cancer survivor! Her speaking events also include Guest Speaker at the Annual National Guard Youth Task Force Gala 2012 where she honored a Paso Robles High student & Grizzly Academy graduate. She currently lives in San Luis Obispo with her husband - chemistry professor, surfer, and golf enthusiast & their Standard Parti-Poodle - Isabela, Reina de Castilla who comprehends, as any queen would, 800+ words in Spanish/French/ English = to a Spanish 1 student! If a Standard Parti Poodle can understand Spanish then SO CAN YOU!